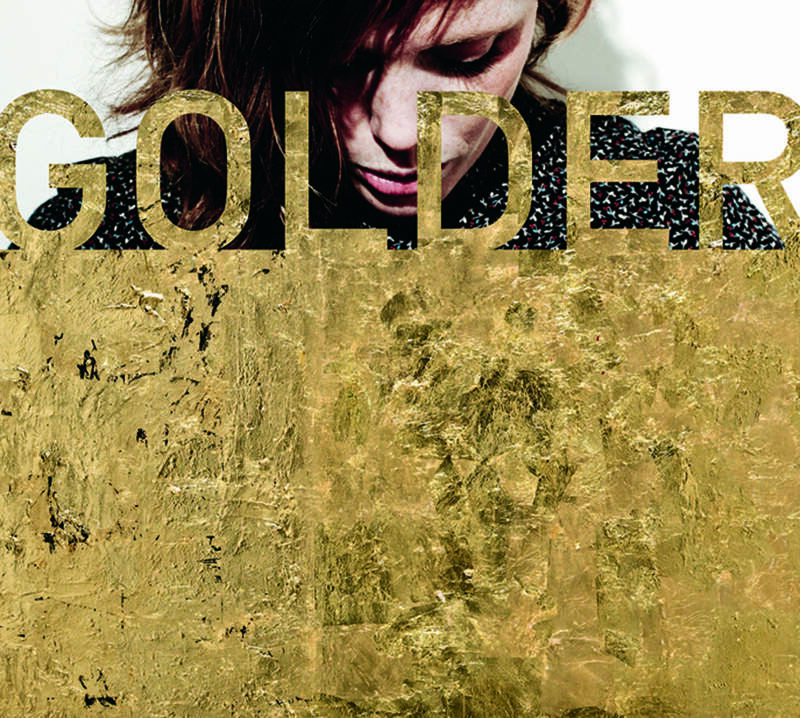 Golder is the fourth full-length album from singer-songwriter Haley Bonar. 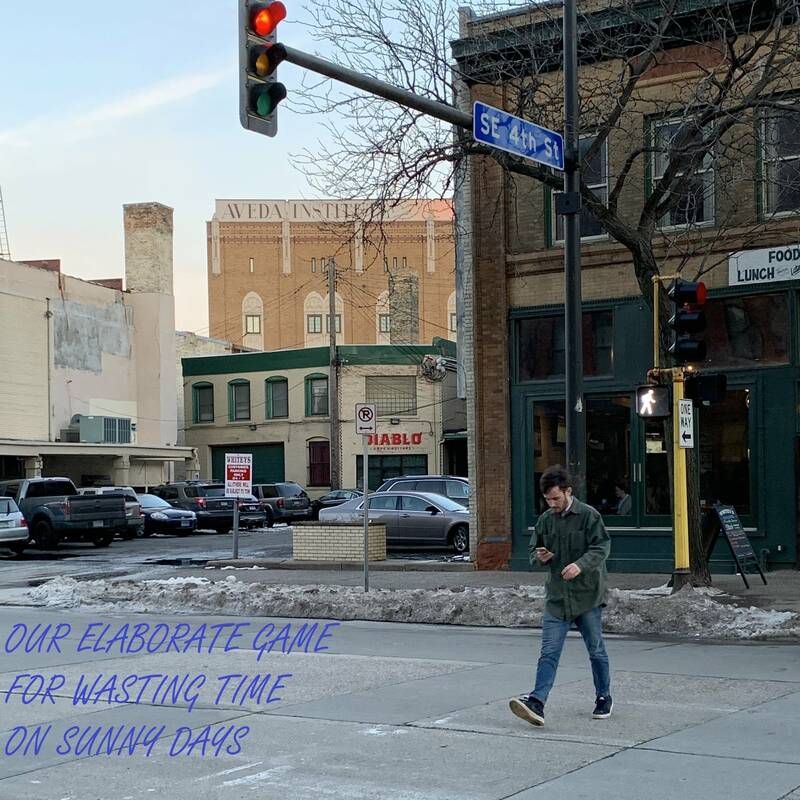 Recorded at the legendary Pachyderm Studio in Cannon Falls, MN where records like Nirvana's In Utero, Soul Asylum's Grave Dancer's Union, and The Jayhawks' Hollywood Town Hall were born into the world, Golder is the most full-sounding Haley record to date. It's no secret that this was the direction she was moving toward. The sparse instrumentation and simple production on her earliest records have gradually given way to bigger sounds over time. However, I was unprepared for what I found on Golder. It's massive. Deep, explosive drums, robust and rumbling bass, walls of fuzzy guitar and keyboards that would leave Mr. Spector drooling... and then there's the vocals. Unique combinations of reverb and delay expertly applied by engineer Brent Sigmeth give Bonar's already more-than-pleasing voice an unprecedented breadth and an otherworldly presence; a beauty of the highest order. The same effect is achieved with various pianos and guitars throughout. Masterful use of studio and effect make this one of the most breathtaking albums I've heard. Ever. Which is probably what Haley had in mind when she moved back from Portland in July of last year. In fact, I know it is. A temporary stint on the left coast provided a necessary change in scenery, but Golder would require something that Portland didn't offer: Pachyderm, Brent Sigmeth and the cast of musicians she needed to make this thing sing. All of which play an essential role in making this record. Though the song writing is all Haley, this record feels like a band record  a group effort, built by many rather than few. Credits confirm the involvement of members of the now defunct Spaghetti Western String Co. Michael Rosetto, Nicholas Lemme and Ethan Sutton contributed banjo, mandolin and cello respectively. Drummer Luke Anderson and multi-instrumentalist Michael Lewis on the bass make up a powerful and driving rhythm section. Guitar wizards Jacob Hanson and Jeremy Ylvisaker do the work of five guitarists. Everyone's contributions are in perfect taste, matching some of Haley's best material to date. The ping ponging tremolo guitar, flying saucer sounds and electric piano in a grain silo make the already potent "Anyway Rattlesnake" lethal. On "Silver Zephyrs," the shimmering wall of sound and lazy groove speak in union with Haley's lyrics. The instrumental excursion "Leo" (a great gesture of equality, illustrative of the importance of the band on this album) speaks volumes in emotion without using a word. Songs like "Wendy Bird" and the McCartney in outer space "Daddy" are a fresh and slightly augmented take what Haley does when she is performing by herself. But it's the first track on the album that should be crowned best in show. "Candy Machine Gun" sounds like some silly San Francisco collection of musical hippies from 1967. Nope. It's gold. It's golder than gold. Beginning like something from her 2003 album The Size of Planets, just a strummed acoustic guitar and Haley singing a descending lyric-less phrase. But by the second pass, you know you are in for something completely different. Drums of war announce the lazy but airtight hypnotic sixteenth note groove that drives the song. The bass blows the bottom out and you're floating. "We began where we began..." A simple repeating melody for the verse. Cymbals crash like waves. A cello drones. Guitars swell and ricochet robotic and trance inducing tremolo bouncing through the bridge. "I try to figure out...who you were at all..." A smart chorus. "...something of a garden, something of a martyr, I'm helpless in your hands..." This has gotten serious. "Lemonade flavored poison..." It all builds until it looks like it will break, and then does. There's another repetition of the phrase that opens the song, but with extra sauce. In the second verse, a banjo mirrors the drums adding pulse. You feel it growing again. More. Bigger. They oblige. Haley's voice like fireworks in the eye of the storm and you along for the ride. Toto in the bike basket. It all grows to a point where you aren't sure it can support the weight. A final repetition of the opening phrase built broad with harmonies slashes like lightning as the sky meets the ground in an explosive collision sending everything back from whence it came. Too visceral? Yep. Bad grammar? There's no other way to say it. Haley Bonar and her mighty, musical companions have created something marvelous indeed. Now go and tell your friends and let's make her famous.